Do you remember any or all the decades of the 1940s to the 1970s? Of course you do! I am compiling another collection of people’s personal memories, this time from the decades after WW2, for publication in 2019. Thank you and I look forward to reading your stories from the 1940s – 1970s. Didn't this request appear last week? As I think others said then, if there's a book to be made of my recollections, then I'll write it! Not sure this isn't a bit lazy. A bit like getting your Mum to do your homework. Yes I do, thank God! TRex, Iron maiden, abba, David Bowie, The Osmonds, David Cassidy. Blondie. I'm sure plenty info on Google. 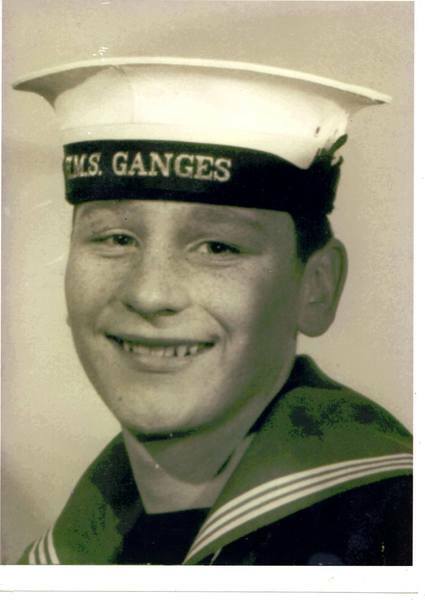 Having joined the RN in 1964 as a boy sailor £2 a week wages and having been a naughty boy, i was sentenced to 28 days DQ's (detention Quarters) which were located in Portsmouth. I was confined to a cell. Wooden bed. No sitting on it during the day when locked up. Whole cell scrubbed out daily by hand together with loo and showers. Running an assault course each morning and afternoon with a 303 rifle on my shoulder. Pooing in a bucket which had to be hand polished daily. One cigarette a day if you smoked as many did, having been allowed 600 duty free cigarettes a month. (Too young to claim my daily tot of rum) Porridge for breakfast, potato stew for lunch and again in the evening as i recall. Unlike prison cells today, no telephone, no reading material. No access to phones or TV, no free UNI courses etc. Left that place as fit as ever was before or since and never went back. A bit like getting your Mum to do your homework - (or your Gran!) - love it! Have you run this past GNHQ? I'll check.